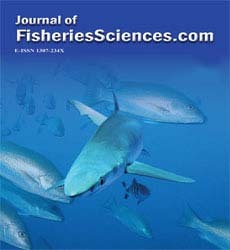 This study aim to establish quality changes occur in whole, gutted and fillet frozen (18 ±2ºC) sea bass (Dicentrarchus labrax) were thawed in ambient conditions (23 ±4°C) and froze again more than once. In study internal acceptability value in term of sensory of whole, gutted and fillet fresh sea bass were 3.83 ±0.02, 3.78 ±0.04 and 3.77±0.01 respectively. Crude protein, crude lipid, pH, Toplam Uçucu Bazik Azot (TVB-N), Trimetilamin Azot (TMA-N) and Tiyo-barbiturik Asit (TBA) of fresh sea bass were also 19.69 ±0.27 %, 8.54 ±0.12 %, 6.48 ±0.00, 18.85 ±0.10 mg/100g, 3.16 ±0.00 mg/100g and 0.43 ±0.01 mg malonaldehyde/kg respectively. After fourth thawing in ambient condition, acceptability value in term of sensory, crude pro-tein, crude lipit, pH, TVB-N, TMA-N and TBA of sea bass were 1.70 ±0.01, 1.65 ±0.03 and 1.63 ±0.02; 19.57±0.14 %, 18.82 ±0.08 % and 19.56 ±0.31 %; 7.92 ±0.22 %, 7.80 ±0.38 % and 8.03 ±0.35 %; 6.58 ±0.001, 6.53 ±0.001 and 6.52 ±0.001; 20.50 ±0.20, 20.89 ±0.28 and 21.70 ±0.10 mg/100g; 3.61 ±0.03, 3.72 ±0.02 and 3.71±0.01 mg/100g; 0.55 ±0.02, 0.62 ±0.02 and 0.66 ±0.02 mg malonaldehyde/kg respectively. According to study results after multiple freeze/thaw cycle in ambient conditions, there were softhing in muscle tissue, development of undesirable odor in fish meat, loss of brightness of leather and stamps, color and odor changes in the gills. It has seen that samples with leather and stamps had better quality than fillets after the study. Samples exceeded acceptable limits in terms of sensory after fourth thawing in ami-bient conditions. Thus separating into pieces can be consumed at a time before freezing and thawing has been recommended to consumers.